While hunting for something else, I came upon my copy old of, Bird by Bird: Some Instructions on Writing and Life,” 1994, by Anne Lamott. Those who appreciate Natalie Goldberg’s reflections on writing will enjoy Lamott. Two things strike you right away about Lamott on writing: she is very funny and she is a firm believer in telling one’s own unique truth. This is a theme she returns to again and again. Lamott has been telling her truths since her first novel, Hard Laughter, 1980, a largely autobiographical portrait of her eccentric family as her father was dying of a brain tumor. Lamott has taught writing at UC Davis and at various workshops. Bird by Bird mirrors the advice and methods she gives her students. I have not read all of her sections on the mechanics of writing. Suffice to say that I find her introspective style better suited to illuminating the twists and turns of the process itself than conveying nuts and bolts information. Like Goldberg, I think the essay is the medium where Lamott really shines, and in another parallel, her most recent writings on spirituality are what I value most. 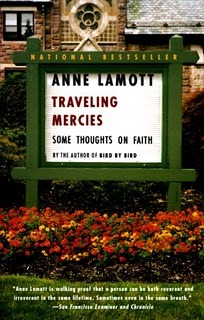 In Travelling Mercies: Some Thoughts on Faith, 2000, Lamott holds nothing back in describing how her alcoholic bottom led her to Christianity – the last place, as a life-long bohemian, that she wanted to be. Travelling Mercies relates how Lamott, as a newly sober alcoholic and single mother who had never been to church, sets out to follow her truth where ever it may lead. People raised as Christians may not have wrestled with all the questions Lamott has to face, beginning with how she’s supposed to find a church to nourish both her and her son. It continues with all the issues we face in living day to day. What do we make of the death of friends, of loss, of a son who doesn’t want to go to church, or announces, “I wish I had never been born?” These and other questions about living her faith seven days a week have led Lamott to write two other books on spirituality, Plan B: Further Thoughts on Faith, 2006, and Grace (Eventually): Thoughts on Faith, 2007. My wife is reading that one now, and I’ve flipped through the contents and may borrow it when she is done. 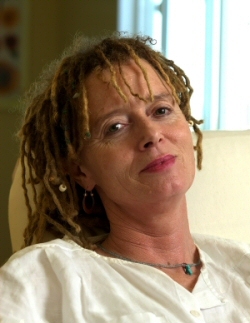 If you haven’t discovered Anne Lamott’s work, I suggest you sample her titles in a bookstore or on Amazon, and see what she has to offer. Her unique take on the life around her can bring you up short and shift your perspective on where you are and what you are doing. This entry was posted in Authors, Book Reviews, Spirituality, Writing and tagged authors, book reviews, postaweek2011, religion, spirituality, writing. Bookmark the permalink. Some years ago, I attended an English teacher’s conference and Annie LaMott was the keynote speaker. It was one of the best hours of my life so far. She’s brilliant, funny, and completely vulnerable. I love her book Bird by Bird, but haven’t read her other works. More books for my TBR pile! Thanks for the post, Morgan. I have read most of the books you mention above and loved them. After reading your post, I think I will revisit Bird by Bird and read Grace (Eventually). Thanks for drawing my attention back to a wonderful writer. I don’t know if I said in the post, but I found Bird by Bird in the back of a shelf while hunting for something else. One of those happy discoveries. You have written two wonderful assessments of these works by Lamott. Curiously, they are the only two of hers I have read. “Bird by Bird” helped me to be calm during the editing process of my first novel. She convinced me a quality work would lead to a publisher. She was right! The first one I approached published my manuscript. I enjoyed “Traveling Mercies” no less so, but for completely different reasons. I’m glad you liked the posts. Those are the two of her books I read recently. I read her first novel when it came out some time ago, but tellingly, I cannot remember its name. Her essays seem to me to have a real power and authenticity.